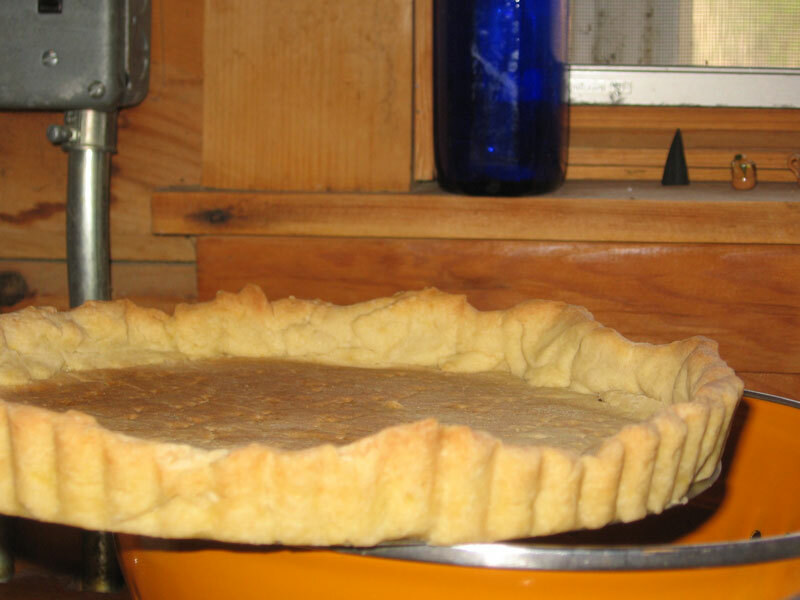 I made a lemon tart yesterday, and the tart shell recipe made enough dough for two pies. I have been carrying the extra tart shell around with me today (it made its way into town and back…), trying to decide what to fill it with. 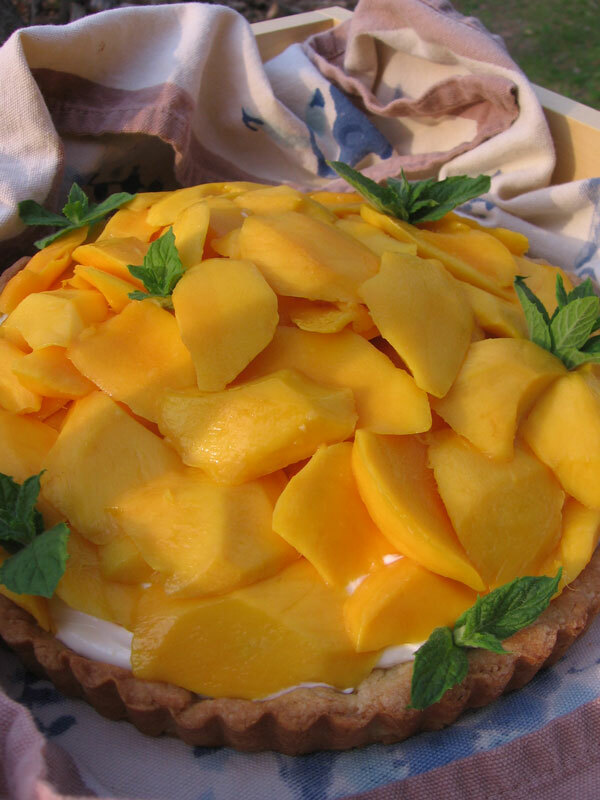 I settled on a mango cream pie (of sorts). When I dropped the meyer lemon pie off at my friend’s workshop, he gave me two limes from his tree, and so I incorporated them into the pie as well. The limes were yellow, and I had the hardest time wrapping my mind around the fact that they looked like lemons. 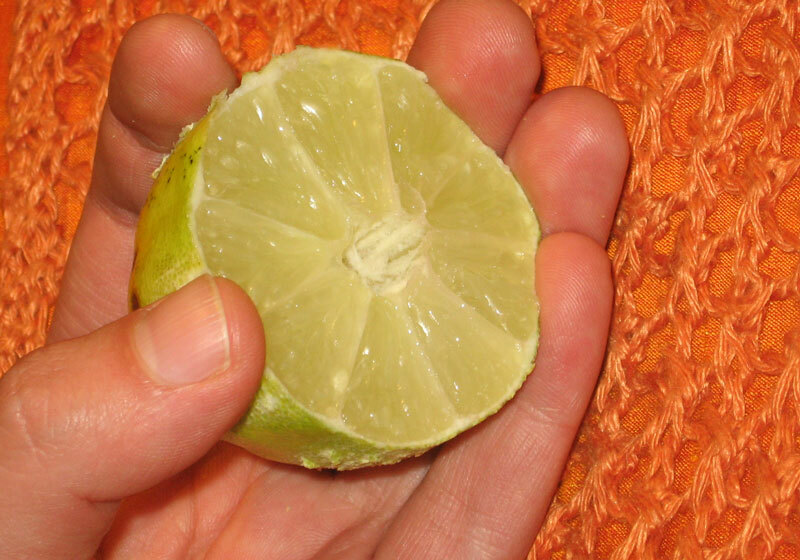 I really associate the smell and taste of lime with the deep green that they usually are. 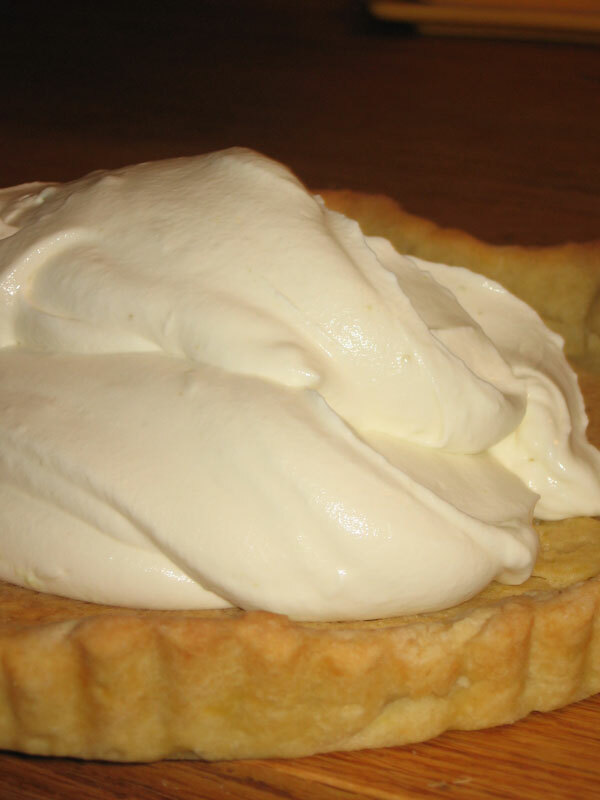 My mom suggested to make a pastry creme of sorts using whipped cream and greek style hung yogurt. To the yogurt I added lime zest and juice, mixed with sugar. (An idea from Duncan.) As I whipped the cream, I added some Haitian vanilla. Then I folded the yogurt mixture into the cream, and spread into the tart pan. For the filling, I used 1 tiny box of cream (a cup??) and half of a package of Fage full cream yogurt. I added vanilla and sugar to taste, and the zest and juice of one very delicious lime. 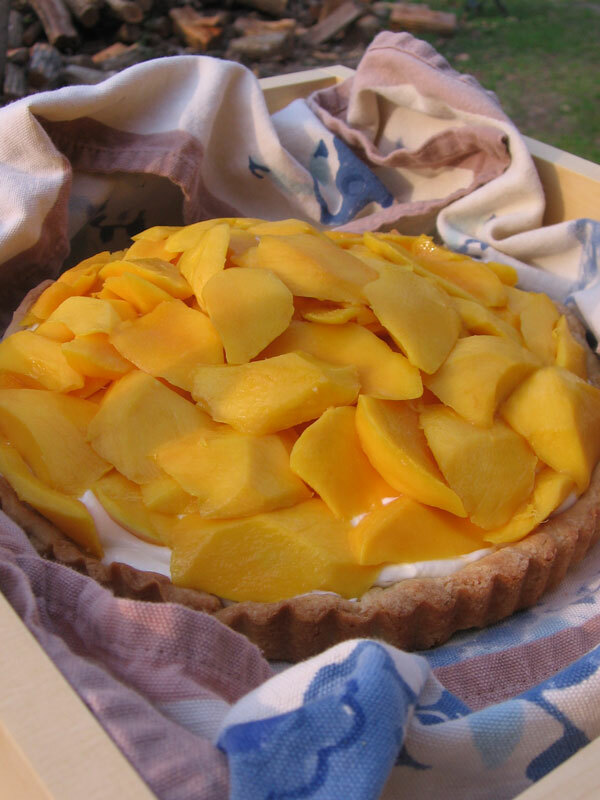 On top of the cream, which was already filling the tart shell nicely, I placed some ripe slices of mango. 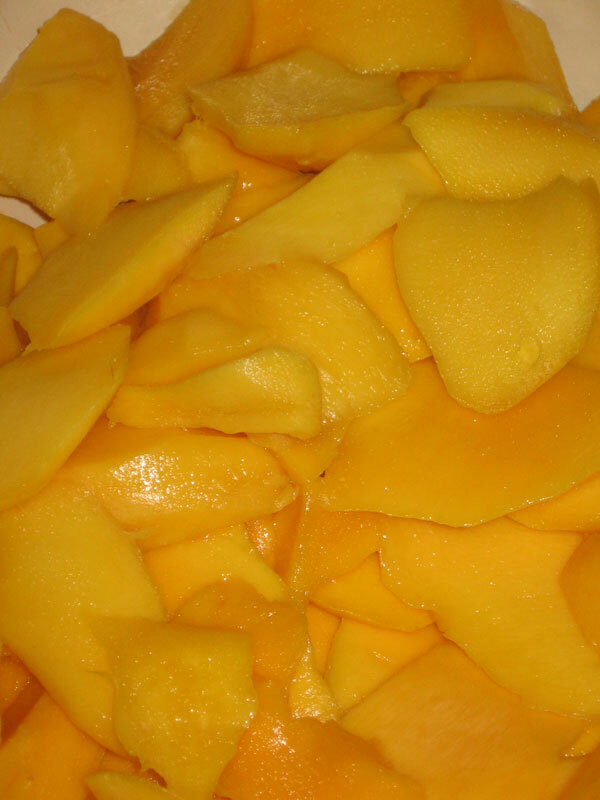 (I peeled and cut up 4 medium sized yellow mangoes.) I think that this would be good with many fresh fruits. Berries, peaches, plums, etc! They fit nicely in a little mound on the top of the cream. To garnish, I ran over to my mom’s house and picked a few sprigs of mint, which have popped up in the garden in the past few weeks.